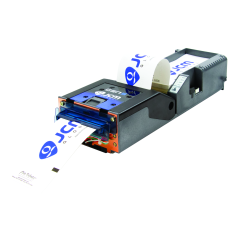 The GEN5™ is the next generation of Printer Technology with a faster processor, dual channel communications, intelligent ticket handling for TITO and promotional couponing. The GEN5 is FUZION ready when combined with the iVIZION bill validator. 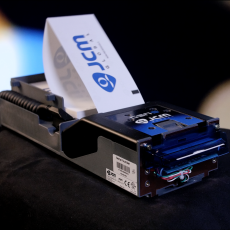 The new GEN5 printer is the better, smarter, faster way to make connections with customers. 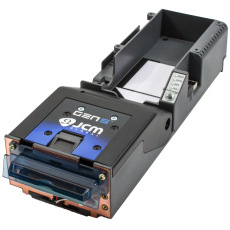 With a lightning fast CPU, dual channel communication, intelligent ticket handling and cross-enterprise promotional couponing and superior electro-mechanical design, the GEN5 printer guarantees high reliability and easy maintenance with modern technology. 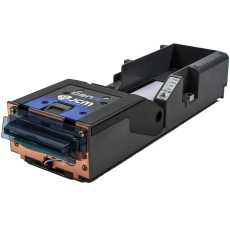 Plus, the GEN5 is FUZION™-ready, and when combined with the iVIZION® bill validator, can open a wealth of potential new features.